Sean M. Whitt’s practice is heavily devoted to litigation. He practices before multiple state and federal courts in Kentucky. He has argued cases before the Kentucky Court of Appeals and the U.S. Courts of Appeals for the Sixth Circuit on matters involving industrial personal injuries and health care breaches of contract. 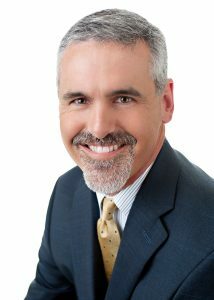 Sean has been involved in many jury trials, administrative hearings, arbitrations, and mediations. Sean’s practice has primarily involved matters of personal injury due to motor vehicle accidents, industrial accidents, medical malpractice, and premises liability for both plaintiffs and defendants. 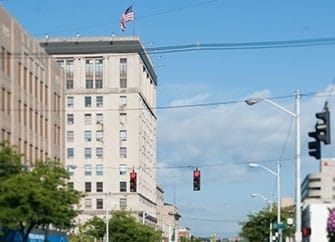 Additionally, Sean represents multiple banking institutions in lender disputes and commercial transactions, industrial manufacturers in construction disputes, interstate fuel and lubricants suppliers, insurance defense assignments and several Boards of Education throughout Eastern Kentucky. In the area of personal injury litigation, Sean has defended several personal injury and wrongful death claims on behalf of industrial manufacturers where employees of contractors were injured. In these cases, the Occupational Safety and Health Administration was involved and the Plaintiffs were seeking millions of dollars in recovery. Likewise, Sean has defended physicians and medical centers for alleged medical malpractice. For a plaintiff, Sean recently litigated and settled a medical malpractice case where a surgeon and medical center left an operative sponge in the plaintiff’s abdomen. In commercial transactions, Sean recently handled financial transactions between borrowers and banking lenders for the construction of a prominent hotel chain and national restaurant franchise. The land purchase and construction costs exceed $10,000,000. In the area of construction disputes, Sean has defended several multi-million dollar disputes between industrial manufacturers and equipment and installation contractors. In one such case, Sean was a part of a defense team that arbitrated over 81 hearing days in two years time in Atlanta, Georgia. In that case, a three-member arbitration panel heard evidence concerning claims and counterclaims exceeding $200 million.